Series Volume 6: Why Build an Effective Board For Your Company? We are getting closer to touching on all main considerations and focus areas as we continue our ongoing series, 'Why Build an Effective Board For Your Company?' Today we focus on important Topic #6: Infusing the 'Planes of Congruence' Concept in Your Board Design. What exactly do we mean by 'Planes of Congruence'? I am glad you asked! Above and beyond industry/vertical expertise (mentioned in our previous Topic #5: Creating Your Board's 'Sphere of Influence' pertaining to vertical considerations), Board member composition for your team should additionally be evaluated at multiple 'planes' or horizontal considerations. Personality Types: Diversity once again is the name of the game. For every 'Adventurer' have a 'Logistician.' For every 'Entrepreneur' have an 'Executive.' For every 'Advocate' have a 'Protagonist.' Balance your personality types across Analyst types, Diplomat types, Sentinel types and Explorer types. Male/Female Balance: This is a big one, and I don't mean it in a 'quota' type of way. 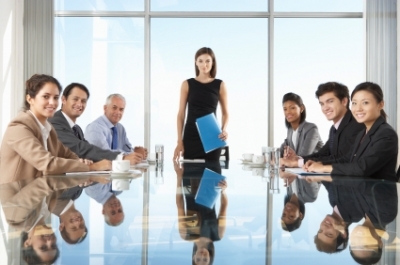 The most successful Boards I serve as a member or as an advisor have a noticeable balance of men and women. These Boards just simply 'work' better... and the data doesn't lie. Emotional Intelligence (aka EI or EQ): Defined as "the capacity to be aware of, control and express one's emotions, and to handle interpersonal relationships judiciously and empathetically." This has become much more important in today's society when the topic of who you voted for or what flavor ice cream you prefer can result in supermarket fist fights. ...And yes, there are ways to measure someone's EQ as well as the Board team's collective EQ. These are just 4 of many additional 'Planes of Congruence' considerations to evaluate when building your Board. Reach out with your thoughts on what you believe are additional important horizontal considerations for your Board. Continue to read our ongoing series on the important focus areas you need to be thinking about in order to build an effective Board for your company.